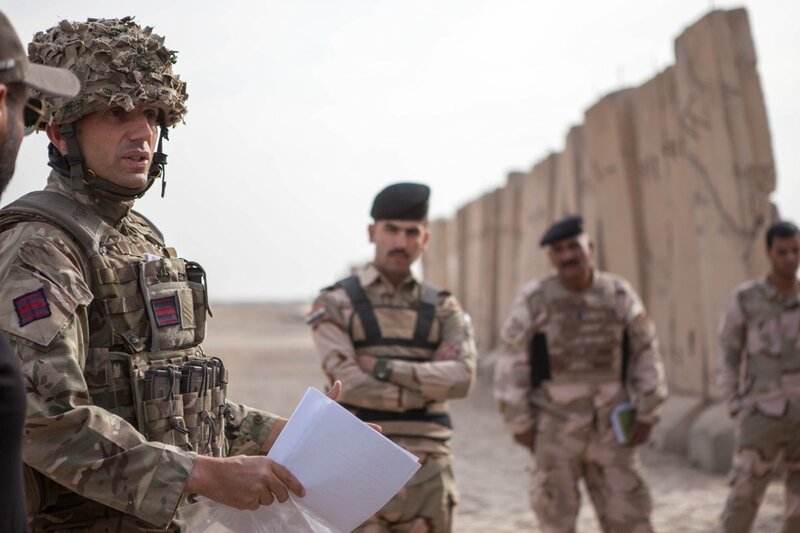 The UK Ministry of Defense brushed aside reports that the European country is in talks with Kuwait to open a permanent military base as it has embarked on building a strong military presence in the region after agreeing with Bahrain and Oman to set permanent bases. London-based The New Arab reports the British ministry, in an email to the Qatari media, denied the claims made Thursday by Turkish state-run news agency Anadolu quoting Kuwaiti newspaper Al-Rai, which itself cited Kuwaiti diplomatic sources. “There is absolutely no truth in the story whatsoever,” a media representative of the ministry told The New Arab. According to Al-Rai, the UK and Kuwait were scheduled to meet on Thursday to discuss aspects of this cooperation. Another local media Al-Qabas gave further details noting that the meeting would close the deal for the establishment of the military base. UK previously targeted the oil-rich country as one hosts of its planned permanent military bases in the region. “We’re looking at all the possibilities. We’re not talking about a major deployment, I don’t think, but we’re looking at what might work for both the United Kingdom and for Kuwait. As I say, it’s at a very early stage,” British ambassador to Kuwait Michael Davenport said in a February interview with Forces Network. As it is set to leave the EU in March, UK has begun bolstering its military deployment in the Gulf region, an initiative dubbed a British “military build-up” east of Suez. Under the initiative, Bahrain and Oman have already reached agreement with London to host permanent military bases. The UK in April opened HMS Juffair naval base in Mina Salman Port with a capacity of 500 Royal Navy personnel. In the wake of a major military exercise in October that involved 5,500 British soldiers and 70,000 Omani forces, the UK announced that it would establish a permanent military facility in the Sultanate.